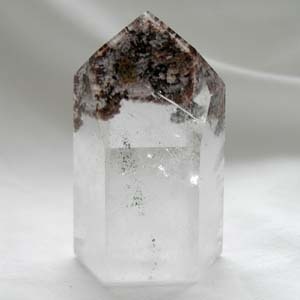 Tagged as chlorite, clear quartz, quartz. 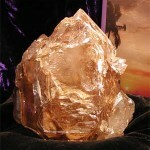 A beautiful crystal with a transmitter/receiver face set and chlorite inclusions and phantoms. 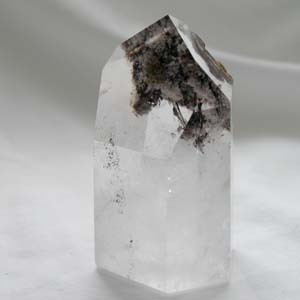 Inclusions make great focuses for manifestation, and chlorite has an affinity to financial magical workings. The clay provides a strong sense of earth energy.